There is nothing more inspiring than discovering new places on a bike. As one of biking adventure quotes goes, “Bikes bring you places that cars never see”. So true. Biking allows you to take in all the details while spending time on the fresh air and exercise! Furthermore, you can hop from one attraction to another in any city you visit at your own pace. 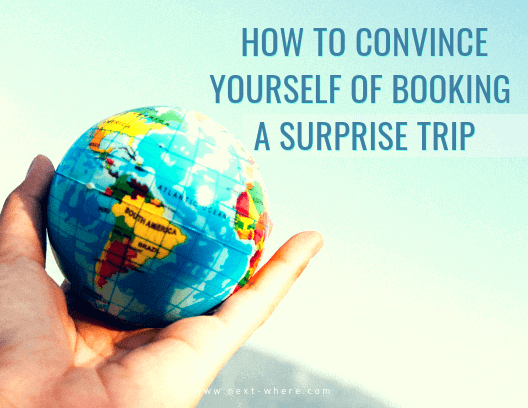 In addition, if you decide to go on a biking surprise trip, you will definitely eliminate annoying traffic jams and horrible parking from your mystery vacation. Just imagine – sightseeing with the minimum traffic stress possible. Some cities are more and some are less friendly to travelers on two wheels. There are many places across the country that are perfect for cycling. If planning a cyclic-focused surprise trip for a cyclist you love, pick one of the following cities. The list of the bike-friendliest cities in the U.S. and Canada is based on local cycling culture, biking infrastructure, and scenic beauty. So, here are the top five cities in North America worth exploring by bike. Sitting on steep cliffs, Seattle might not be the easiest city to explore by bike. But it is one of the most exciting. Actually, famous for its outstanding bike lane network and stunning landscapes, Seattle is one the best North American cities to visit on two wheels. 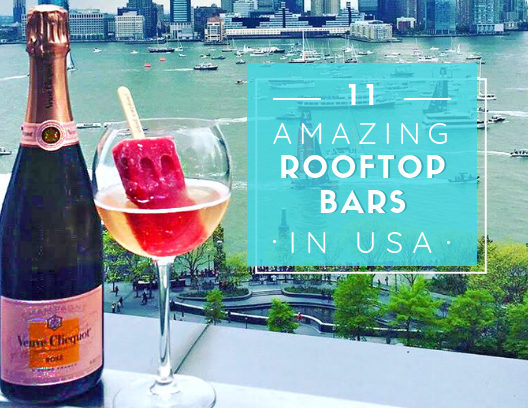 This metropolis is surrounded by the ocean, mountains, and lush forest that will simply leave you dazzled. And if your passion for travel takes you to Seattle, Washington, you will be thrilled to know that the city voters have recently approved a nearly $1 billion pedestrian and cycling master plan. This will definitely make this city on the Pacific Northwest a genuine bike surprise trip destination. This city in Arizona’s Sonoran Desert is surrounded by mountains which make Tucson an inviting setting for a year-round adrenaline-charged biking experience. This oasis in the middle of the desert has an impressive bicycle infrastructure, featuring more than 700 miles of designated bikeways and providing a unique experience for both road biking and mountain biking. 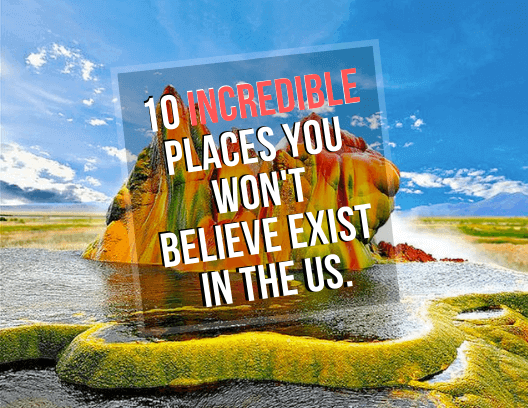 Therefore, it is not a surprise that Tucson, Arizona has been ranked as one of the best US cycling destinations for years now. The mountain bike trails outside of town as those in the Santa Mountains, are one of the most exciting in the country. Surreal landscapes with scattered cactuses and mountaintops in the background will make your cycling mystery vacation dreamlike. Whether you are looking for a leisure ride or seek some serious mountain bike trails, Tucson is a perfect cycling destination. This Canadian city can be proud of its biking opportunities. Namely, during the last decade, the most important cycling organizations have rated Montreal as one of the top bicycle-friendly cities in the world. The reason for this lies in hundreds of kilometers of bike lanes, trails, and paths as well as the establishment of the self-serve rental bike system (Bixi bikes). Take your significant other or your friend to this city that many consider North America bicycle capital. With a good reason – Montreal has more than 403 miles (650 kilometers) of bikeways, including the recently completed bike lane which transverses the entire length of Montreal’s downtown. One of the best spots for exploring Montreal on two wheels is the Mont Royal Park. Whether you want to enjoy a stunning view of Montreal’s downtown, to do some hill climbing or simply enjoy a relaxing bike ride, stop by this park while on your surprise vacation. 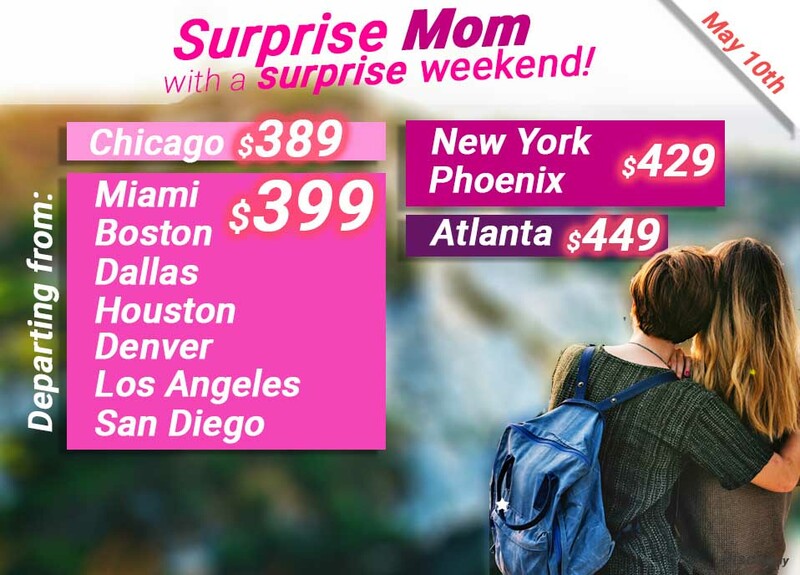 However, Montreal has much more to offer, so definitely include it in your surprise trip planner. 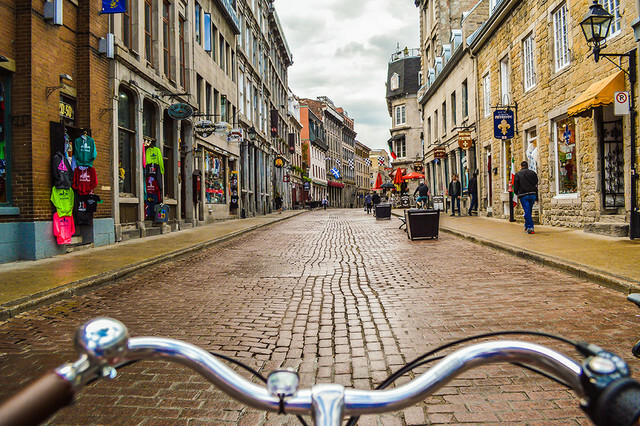 Biking on the cobblestone paved streets of Old Montreal is definitely a unique experience. It’s like European-inspired biking in a North American city. Chicagoans usually say that summertime in the city is the greatest time of the year. 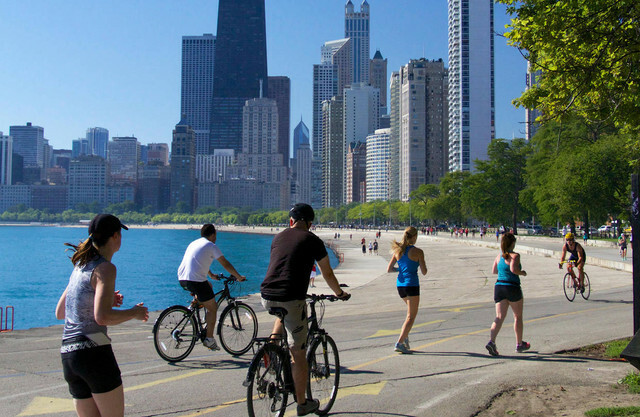 Nestled on Lake Michigan in Illinois, Chicago attracts cyclist from all over the continent to explore it on two wheels. Famous for its bold architecture with skyline punctuated by skyscrapers, museums with noteworthy collections, and excellent restaurants, Chicago is a more than unique surprise vacation destination. Don’t miss a scenic ride along the Michigan lake shoreline where you can admire the remarkable city skyline while gliding on your bike. In addition to Chicago Lakefront Trail, you may want to check out the Chicago Riverwalk, North Branch Trail, and Green Bay Trail. Furthermore, if you want to get out of the city, try Illinois Prairie Path. There are 61 miles worth prairies on this trail that extends from the city to the western suburbs. Simply breathtaking. 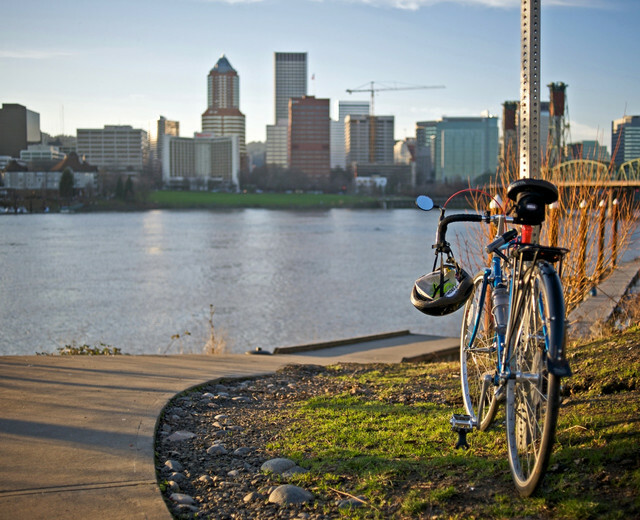 Biking enthusiasts consider Portland the king of cycling in the U.S. No wonder. This American city has inspired many other cities nationwide to boost the cycling culture. According to statistic, Portland, Oregon is the U.S. city with the most cyclists per capita where 7.2% people commute to work or school by bike, compared to 0.5% commuters nationwide. 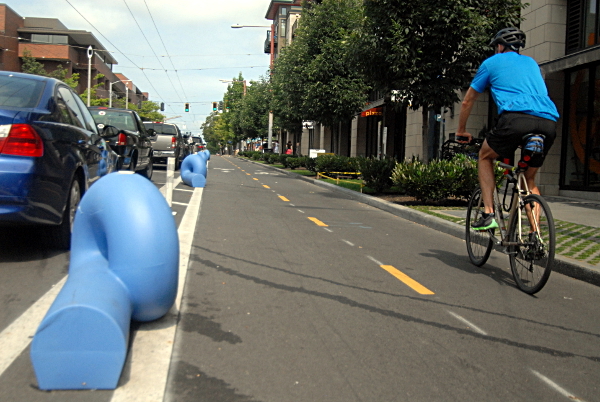 Portland has 350 miles of bikeways, including bike lanes, paths, and Neighborhood Greenways. If you are passionate about cycling, include this amazing western city in your pack and go bucket list. Don’t miss visiting the Forest Park – the country’s largest urban preserve, and explore its thrilling bike trails. With the extensive bikeway networks along the roads, water, and forests, a surprise weekend in Portland can be one of the unique travel gifts for a biking enthusiast you care for. 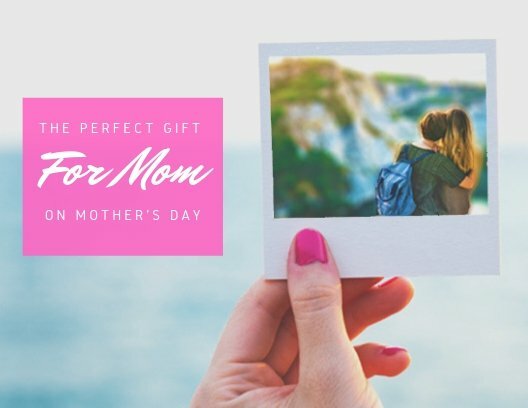 Whether you decide on focus on the downtown hub of these amazing cities scattered across North America or to explore the landscapes outside the city borders, pedaling is a unique and exciting way to travel.